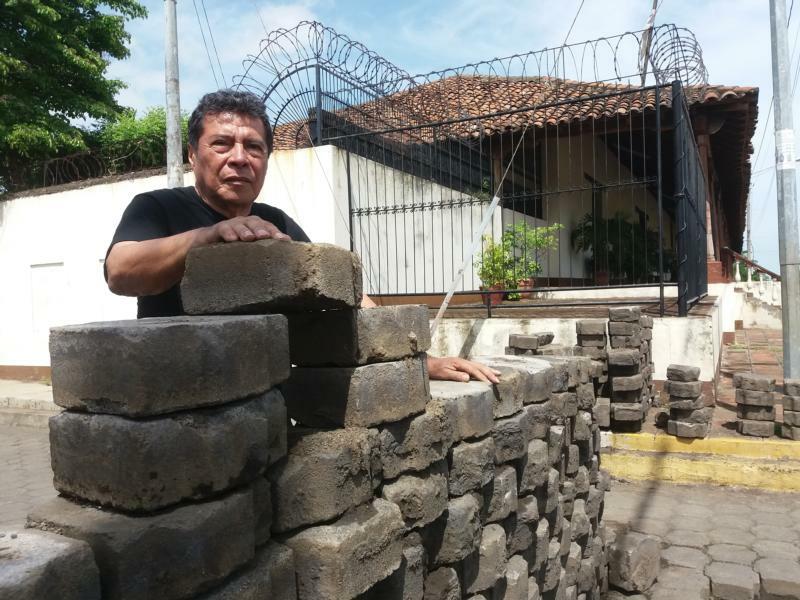 LEON, Nicaragua (CNS) — For older residents of Leon’s Sutiaba neighborhood, the country’s recent protests bring back vivid memories of the insurrection of 1979 that toppled the dictatorship of Anastasio Somoza. Magda Verios Vanegas is a 60-year old retired schoolteacher who lives across from the Catholic Church in Sutiaba. Verios said priests have been crucial in helping keep the peace. “All over Leon they have played the role of mediator or guarantor. Both sides take hostages, but have handed them over to the priests,” she said. She added that Bishop Cesar Bosco Vivas Robelo of Leon had negotiated to end some disputes. “Without the church, the number of deaths would be much higher,” she said. After eight weeks of civic protests, church leaders were cautiously welcoming some progress in the dialogue they have mediated between Nicaraguan President Daniel Ortega and protesters, who want him to resign. The two sides may agree to speed up elections, currently not due till 2021. But the fragile dialogue can still be wrecked by further human rights abuses. The dialogue was already halted once when police fired on a peaceful march May 30. The death toll in the protests has now reached almost 170 people, mainly killed by government-backed forces, according to evidence gathered by human rights groups, such as Amnesty International and a mission sent by the Organization of American States. In early June, one city after another was hit by strikes and fighting between protesters and supporters of the governing Sandinista party. The protesters’ main tactic has been to close down roads, aiming to strangle the economy and force Ortega to make concessions. The western city of Leon, Nicaragua’s second-biggest, is the city most affected by roadblocks, with an estimated 400 barricades across the city. “It was extraordinary how quickly the roadblocks were built,” said Father Aberlado Tobal, priest in the parish of Sutiaba. He said after a video showed armed government soldiers driving through the city, “all over town, local people began to rip up the paving stones and build barricades.” Within half a day there were more than 100 barricades just in the Sutiaba neighborhood. Father Tobal said he has had to mediate local conflicts, while Catholic laypeople are caught up on each side of the battle. “Daniel Ortega should listen to the clamor of the people,” he said, “but the situation needs to be resolved soon or the winners will be common delinquents.” He said his greatest fear is a slide toward generalized crime and violence. Before April, Nicaragua was the safest country in Central America. “My parishioners are calling for the law of God to be respected, that lives are spared. But we also see supposed Catholics on the side of violence. I believe they are not Catholics in truth, they’re Catholics in name alone,” he said. On June 14, a 15-year-old boy was shot and killed as he helped on the barricades in the Leon suburb of Zaragoza. Sandor Dolmus was an altar boy in the cathedral. As the attack began, Father Tomas Sergio Zamora rang the bells to warn the local population to stay indoors. For this, he said, the church tower was shot by masked men. During the attack, six other people were injured. Young people in Nicaragua are torn between a more active role on the barricades and the need to care for children. Marlene Calderon said she should not even have been in Leon, but at home with her children in Jinotega, 100 miles north. “I came for a training course last weekend, but while we were here the protesters closed the road out of town,” said Calderon, who took refuge in the office of a nongovernmental organization. Calderon said the situation made her closer to God.